This beer is not available in Minnesota, but my roommate delighted me when he returned from his cabin with a bottle of New Glarus Spotted Cow. 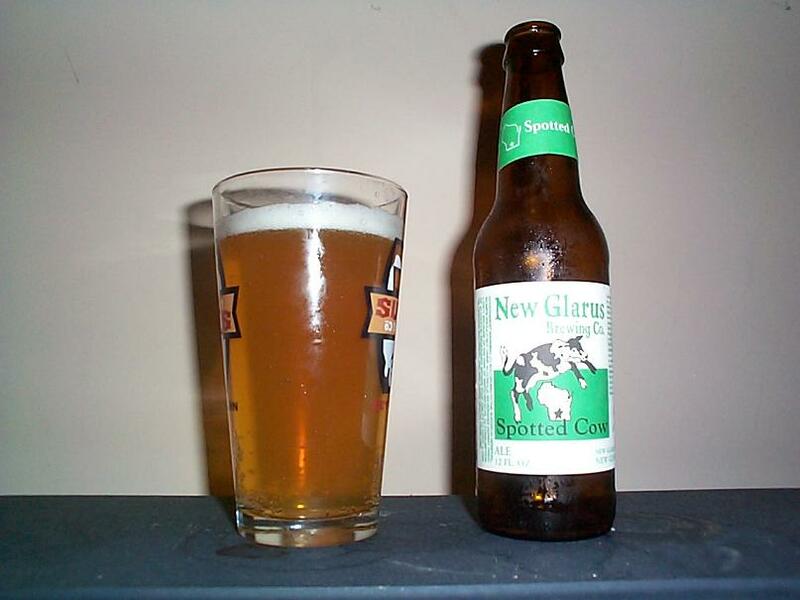 This beer heading from Wisconsin is classified as a Cream Ale and is quite interesting. This cask conditioned secondary fermented ale has been enjoyed since before prohibition and has been enjoyed ever sense. Pours a light very yellow color that is quite transparent with very little head that fades rather slowly. Smells of pilsner malts, nicely sweet and sour at the same time. Mouthfeel is light and simple. Flavor is interesting, somewhat cirtus and carbonated though more is going on, you can almost taste the corn in this beer. A grand tribute to the Midwest. This beer reminds me a lot of a pilsner but it has a more complex flavor. Coming in at 4.8% ABV i would say this is a good session beer, though the professionals may disagree (looking for a lighter beer). This is a grand summer beer and would encourage anyone who ends up near Wisconsin to try it out. If you like simple beers that also have flavor this one is for you. Give it a shot and ride your bike.